Its always fun getting a new client, meeting new people, hearing their ideas. E3 are a brilliant Bristol agency that we were lucky enough to cross paths with. They were working on concepts with Brains Beer the number one Welsh brewery based in Cardiff. We came on board at the concept stage of their ‘Real Welsh Legends’ campaign. Creating individual characters with a backstory that you’d only hear if you were caught standing at a bar for too long. You can find the campaign online and nominate someone you know to win a years worth of free beer. Nominate your favourite Welsh legend. Its always fun getting a new client, meeting new people, hearing their ideas. E3 are a brilliant Bristol agency that we were lucky enough to cross paths with. They were working on concepts with Brains Beer the number one Welsh brewery based in Cardiff. 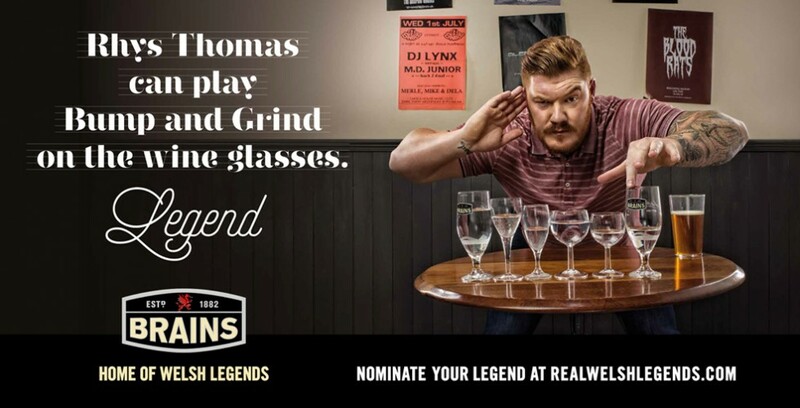 We came on board at the concept stage of their ‘Real Welsh Legends’ campaign. Creating individual characters with a backstory that you’d only hear if you were caught standing at a bar for too long. You can find the campaign online and nominate someone you know to win a years worth of free beer. Nominate your favourite Welsh legend.